Russian figure-skating star will not participate in skating tests in September. Russian figure skater and two-time Olympic champion Evgeni Plushenko has told the R-Sport news agency that he will not participate in the national team's skating tests on Sept. 12-13 in Soci because of problems with his back. "I will not participate in the skating tests because of health problems. I've just returned from Israel where they basically blocked off my back. 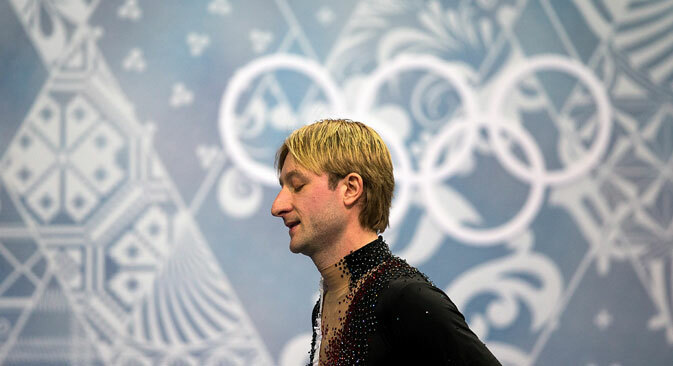 The doctors say that I should avoid serious pressure, which is why for the initial period in September I will not get involved in serious situations," said Plushenko. In April the 32-year-old announced that he was renewing his athletic career. He had not participated in tournaments since the 2014 Olympic Games in Sochi, where he won gold in the team competitions, but was forced to withdraw from individual competitions due to an acute injury of the vertebra. Plushenko also said that he might perform at the 2018 Olympic Games in South Korea.